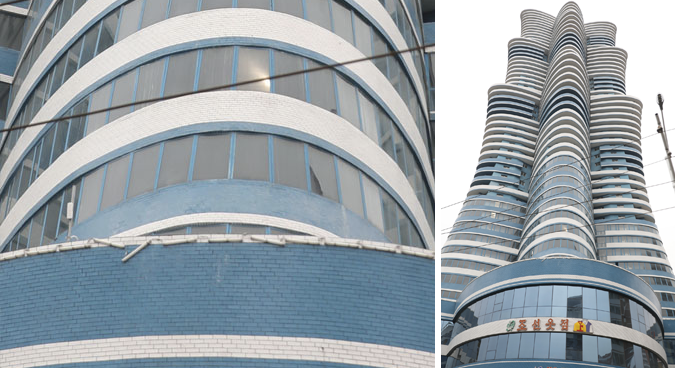 The tallest skyscraper on Pyongyang’s landmark Mirae Future Scientists street, a prestige project opened in November 2015, appears to be completely uninhabited and in a state of visible decay, photos and observations provided by regular visitors and residents of the city showed this week. 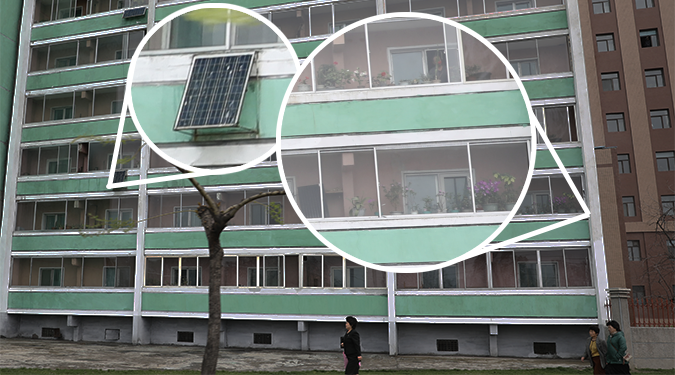 The lack of visible occupancy in the street’s tallest 53-floor building is notable given North Korean leader Kim Jong Un’s personal involvement in the project and subsequent initiation of the far larger 3,000+ apartment Ryomyong Street complex, opened at a major ceremony attended by foreign journalists just a month ago. The skyscraper, which stands tallest on a street built in less than a year after Kim Jong Un personally ordered its construction and refurbishment, should, at least theoretically, be hosting the hundreds of scientists, researchers, and teachers who were invited to move in at an opening ceremony in November 2015. 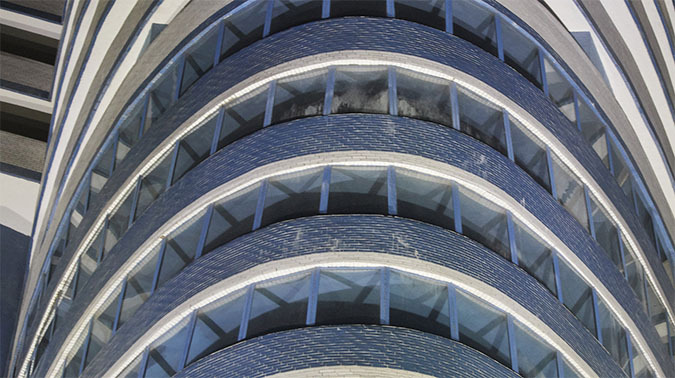 Multiple shops present at the base of the building do appear to be in use, but tell-tale signs in close-up photos of the building taken in Autumn 2016 and Spring 2017 show little sign of life. “It is possible some people are living there, however, it is unusual to see a 30+ story skyscraper with balconies and windows so devoid of life,” said Curtis Melvin, a North Korea researcher at the U.S. Korea Institute. 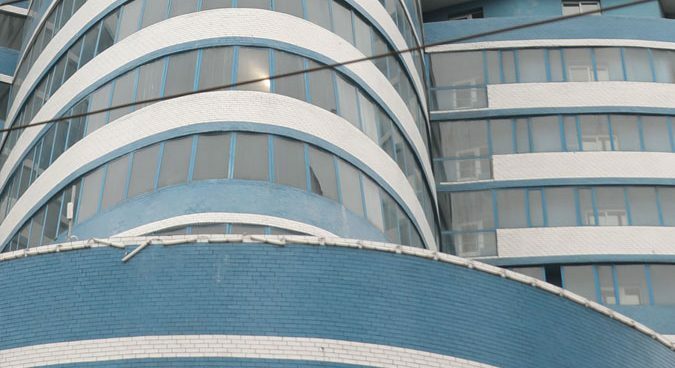 North Korean state media stressed the rapid construction time of the street in multiple reports, in particular emphasizing the significance of the skyscraper that, a year-and-a-half after opening, appears unoccupied. “The frame construction for a 53-storied skyscraper was finished in a little more than 60 days,” an October dispatch by the Korea Central News Agency said. “The construction of a 53-storied apartment house was finished in a shortest time,” said another report in May, 2017. A 2012 speed-building construction campaign ordered by Kim Jong Il, Melvin pointed out, suffered a similar fate, pointing to uncompleted housing units in the outskirts of Pyongyang in Hyongjesan and Rakrang districts. Another regular visitor confirmed that the building showed few signs of life. While North Korean state media reported that Kim Jong Un inspected the street upon its completion in October 2015 – described then as a “model of Juche-oriented architecture” – Melvin said it was unclear if the leader had actually entered the 53-floor skyscraper in question. The rapid nature of the building’s construction – which began in the first quarter of 2015 and was finished in October the same year – could raise questions about its reliability and safety. “Despite the “modern” exterior, the buildings are quite “old fashioned” – built with poured concrete over steel rebar,” Melvin said. 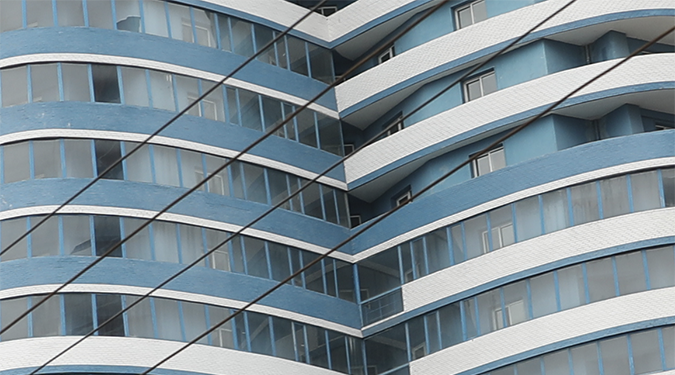 Shoddy construction projects have caused North Korean authorities trouble in the past. In May 2014, a major apartment collapse occurred in Pyongyang, something that a defector involved with the project subsequently told NK News was linked to a lack of proper resources and corner-cutting by management. 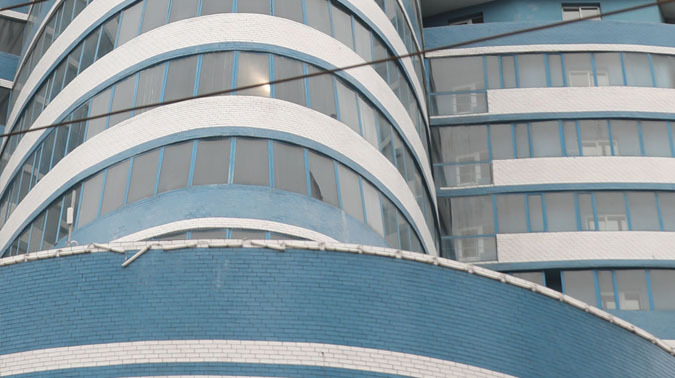 Past experience, then, suggests that buildings recently opened to much fanfare on Ryomyong Street after less than a year’s construction time may also end up uninhabited. “Mirae Scientists apartment building, fairyland in the era of the Workers’ Party, is a convincing display of the WPK’s idea of prioritizing science and talents and the might of socialist Korea, and instills great pride and honour into the Korean army and people,” a state media report said in January 2016. Subscribe to read the remaining 875 words of this article.